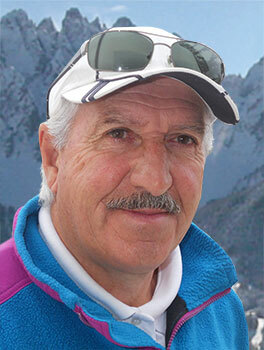 My career as a professional instructor led me to be a founding member of the San Candio-Helm ski school, which I directed for about twenty years. 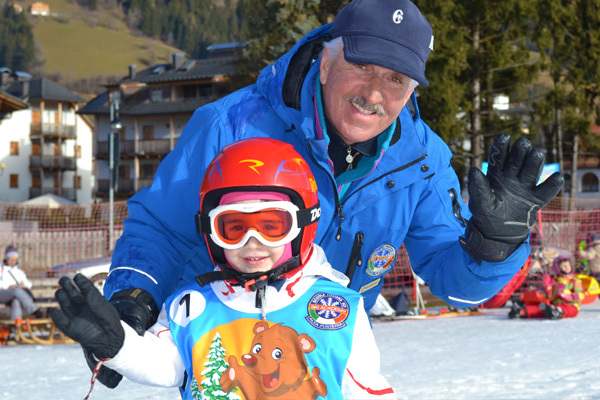 I was a national instructor (teacher of teachers) and trainer on the professional training programme for instructors teach skiing to children. 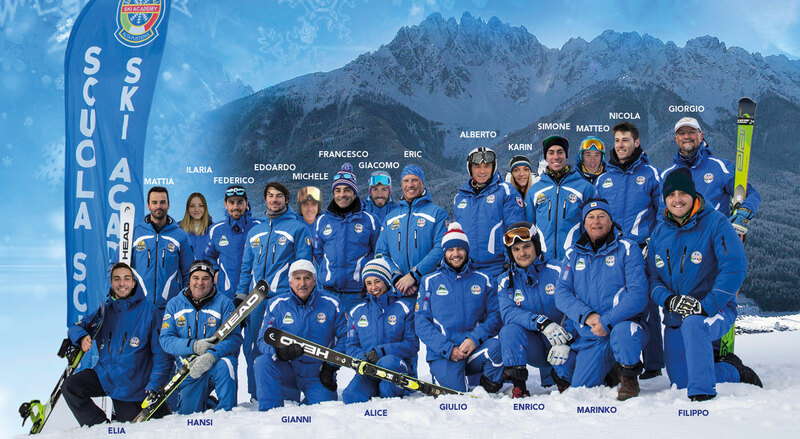 Welcoming you again to San Candido, I am proud to present to you a team of experienced instructors and young people who will accompany you and will teach you, with professionalism, competence and joy, the most modern techniques of skiing of all different kinds (alpine skiing, snowboarding, telemark) making you more and more technical, self-confident and secure so you will have an unforgettable holiday on the slopes. 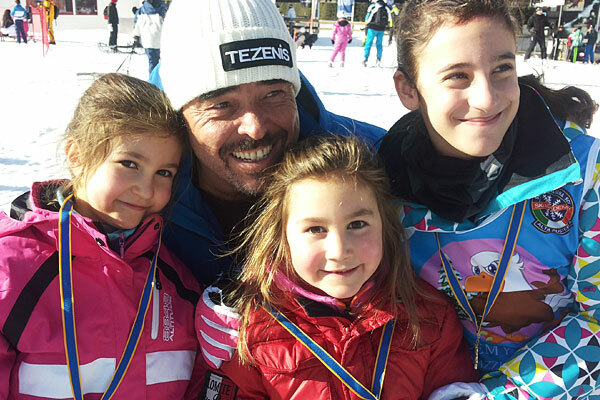 Instructors specialized in teaching skiing to children will start to improve/will perfect your children‘s ability to ski with proven techniques, fun and optimum safety. 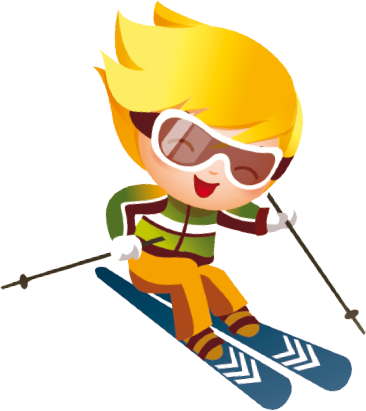 We await you on the slopes! as well as on the Monte Elmo and Croda Rossa! We accept telephone reservations without prepayment! 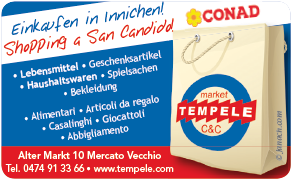 You can also find us also in the center of San Candido, Via Sesto N° 3. Individual lessons can be private or can be shared with multiple students. The teaching method is mainly analytical, in which the instructor, after assessing the level of the student and having listened to their motivations and aspirations, organises a program to be completed in the number of classes taken.This will allow the student to fully reach his/her potential, getting to know their surroundings so they feel confident and safe whilst also having fun. 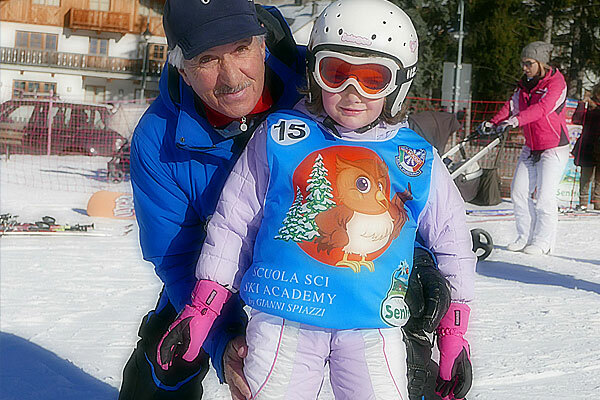 Personalized organization of private lessons with the possibility to be picked up and brought back to the hotel. The duration of one lesson is 50 minutes. Cancellations are accepted only when 48 hours notice is given and with a medical certificate. 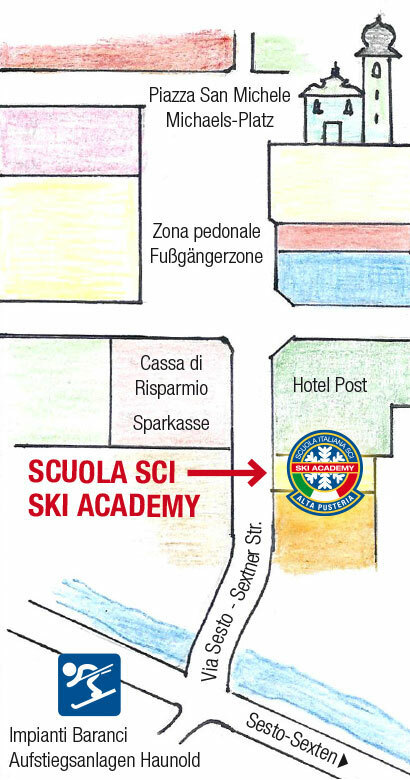 At 8:30 pm, meeting at the baby-ski lift, instructors will be available at no extra cost to accompany the students of the SKI ACADEMY on a night skiing session on the slopes of Baranci. 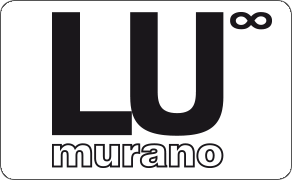 Minimum level required: „Silver“. We inform our customers that during the Christmas period (from December 20 to January 9) the lessons will be held from 10:00 to 12:15 and selections for the formation of groups will be agreed at the time of enrollment. 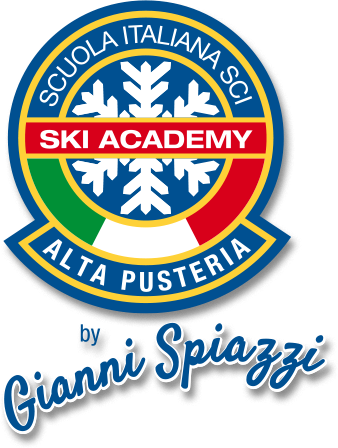 For those who love having a full skiing experience, we propose a course that can be arranged on agreement with the instructor (for children after agreement of parents). 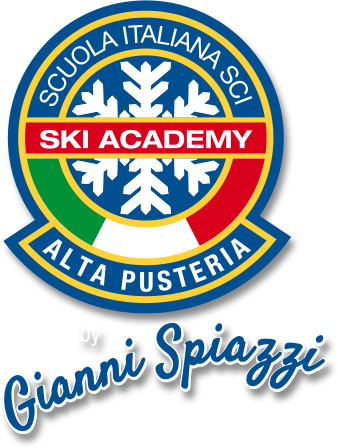 On this course you can follow the pistes of the Dolomites (Tour of the Peaks, Tour of the 4 passes, Cortina, Plan de Corones, etc.) where stunning scenery will take your breath away and you will be able to try various typical dishes in lodges on the way. Transfers are by themselves. Lunch not included. to those who will enroll and pay ONLINE at collective courses at least seven days before their start. From 9:00 to 10:00 and from 15:30 to 16:30 we give private lessons for two people for the price of one. and from 03/03/2019 to 09/03/2019. Groups and Families that enroll a minimum of 3 people to group classes for 6 days will have a 10 euro/person. 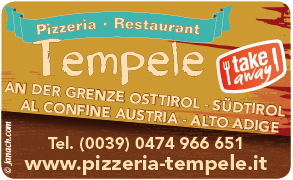 With a minimum of 5 people discounting 15 euros/person. We inform our customers that during the Christmas period (from December 21 to January 6) the lessons will be held from 10:00 to 12:15 and selections for the formation of groups will be agreed at the time of enrollment. 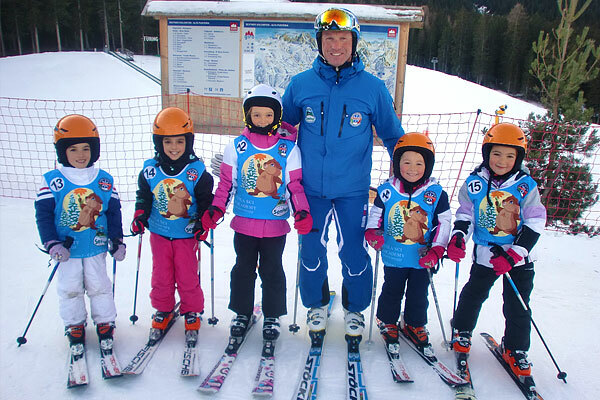 We will teach you, with professionalism, competence and joy, the most modern techniques of skiing, making you an unforgettable holiday on the slopes. 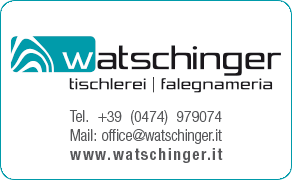 We enjoy to have your telephone number! and try to respond as soon as possible. 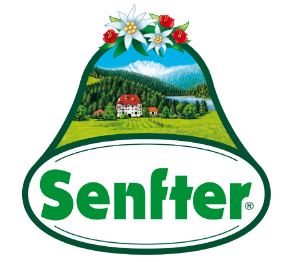 Layout, graphics and programming copyright © of this web-site is owned by SENSO SNC and may not be used in any way without prior written authorization. Please note that we have no influence on the form and contents of web pages we link to. The operation and content of such third party web sites is beyond our control. The information published on those sites is believed to be accurate at the time of linking. Information to customers, suppliers and other business concerning the handling of personal data (according to article 13 of Legislative Decree No. 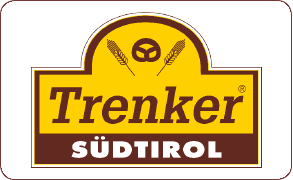 196/2003). As requested by the Legislative Decree June 30, 2003, No. 196 provides, we will inform you herewith the information regarding the purpose and nature of the treatment of your personal data, the nature of the publication and dissemination of the same, the nature of the data in our possession and their transfer to third parties. It is with this data solely for personal data meaner nature. Our company guarantees under the statutory provisions that the processing of the data taking into account the fundamental rights and freedoms and the dignity of the person concerned, in particular in relation to confidentiality, personal identity and the right to Protection of personal data. The data processing is done by specially designated staff. It can be used with or without the help of electronic means and includes all in Article 4, paragraph 1, letter a) of Legislative Decree No. 196 of 30 June 2003 listed transactions for which the related data are needed. The data is in each case in compliance with the measures which the security and confidentiality of data. Any further dissemination or publication is only handled your explicit consent. The communication of your data is voluntary. We would however point out that your personal data is essential for the fulfillment of our common contractual commitments or maintenance of business contacts. 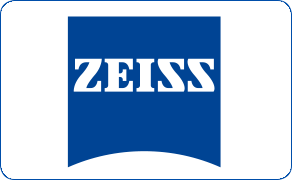 The inability of the data owner, the compliance of data processing and contractual arrangements to guarantee. May at any time from those prescribed in Articles 7,8,9 and 10 of Legislative Decree of June 30, 2003, No. 196, setting out rights to make use, by contacting the data subject (or to the person responsible for the data if appointed) shall apply.